This is a myth I have never before really contemplated on. I will begin with a summary of the myth and then discuss my own views and interpretation. There was a hero, Ottar, who devoted his life to the goddess Freya. He was such a devout follower of her, that he built a huge altar of stone and reddened it with the blood of oxen daily. He would set a pyre so high that its flames kissed the floor of Asgard and so fierce were the flames that they melted the stone altar into glass. One day Ottar the Young and another man, Angantyr , were discussing their ancestry lineage when a difference of opinion arose about who is a direct descendant of the gods. Each waged their entire inheritance upon their lineage; the winner will be awarded with the greater renown. The goddess Freya loved Ottar greatly and would go to any extreme to ensure he prospered in both wealth and fame. She enjoyed the attention Ottar paid her, giving daily sacrifice and blot in her name. When he asked for her help in learning his ancestry, she didn’t hesitate to lend him her assistance. Freya magically transformed Ottar into her boar, Hlidisvini and rode straight away to the cave of a known giantess named Hyndla with knowledge in this area. Hyndla was wise in lineage knowledge, able to recite blood lines of gods, kings and noble men. Frey awoke the sleeping giantess, convincing her that if she helped, the goddess would ensure Odin would provide her with great rewards and that even Thor will be asked to never harm the giantess. Reluctantly, Hyndla decides to leave her lair and follow Freya to the gates of Valhalla where they dismounted to discuss Ottar’s family line. Freya coaxed Hyndla into reciting Ottar’s lineage. The giantess knew the boar Freya rode was actually Ottar in disguise and so looking directly into its eyes recited his genealogy. She named a great many renowned warriors and kings all related to Ottar, then ended her recital with the claim that he is descended from Sigurd the Dragon Slayer who was a direct descendent of Odin. This information ensured Ottar would win the wager with Angantyr as the Germanic hero, Sigurd, was believed to be the greatest of all heroes and was a favourite of Odin’s, however, he must first retain the knowledge and this also required a draught from a special mead called ‘memory beer’ which the giantess had. The giantess initially refused to let Ottar drink of the special mead. So Freya bound the giantess with a magical girdle of fire, threatening to forever keep her bound if she did not comply. Hyndla begrudgingly bestowed the memory beer to Ottar , but not before she cursed it with bad luck. Freya, after hearing the ill words was able to block the curses effects, returning its vengeance upon the giantess herself. Freya would not allow her most devout follower to come to harm or discomfort, he will only prosper for his loyalty and honour. In the end, Ottar returned to Midgarth, recited his ancestry word for word as it was told to him and won the wager and all of Angantyr’s inheritance. Freya was pleased with the outcome..
To me, the Hyndla myth is about 3 things; sacrifice, genealogy and one’s ability to interpret and retain great knowledge. We sacrifice to our deities in order to give honour and respect as well as to establish our own connections to our inner higher selves and with everything around us. In doing this, we are able to maintain strong bonds and receive divine assistance when it is really necessary and beyond our own ability through which we are able to gain key insights for our future spiritual growth. The genealogy of a family and people is important to know. Our literature and sagas are full of listings of a characters ancestry which typically depicts whether that character or folk will be strong or weak, good or vindictive. Our forefathers had placed great value on knowing ones own pedigree and being able to recite it when asked. This knowledge connects us to our ancestors; it tells us who we are , where we came from, important for ones own individual identity as well as the collective whole. One common practice found in our lore is that tribal leaders must be able to trace their ancestry back to royal or godly descent otherwise they were thought of as incapable of leading the community or country. Without a link to ones past, you could not expect to connect to anyone in the present. Wisdom is certainly a part of spiritual growth , but without the ability to interpret that knowledge, it becomes next to impossible to comprehend and retain that understanding which comes with it. The ability for an individual to act or react to something is determined by how that individual interprets ideas, deeper meanings and his ancestral wisdom. This particular myth has Freya, a multi-faceted goddess (as all our gods and goddesses are); display some of her differing characteristics. As the goddess of fertility , we see how much love she has for a human who is a devout follower of hers, we see her passion to help this man in her willingness to go to great lengths to lend him her assistance. Hlidsvini, Freya’s battle-boar symbolises her martial aspect as a warrior goddess. We see her willingness to fight chaotic change which is symbolised by the giantess Hyndla , in order to ensure Ottar would be victorious. We see the aspect of Freya as goddess of magic here too as reflected by changing Ottar into her battle-boar as well as placing the girdle of flame around the giantess to elicit her cooperation. The giantess Hyndla is a representation of chaotic change; her continued reluctance to help the goddess in her quest, and her refusal to provide a draught of the memory-beer to Ottar is representative of the ‘unbending will’. The ‘memory-beer, is symbolic of family and folk inherited knowledge, it gives a person complete understanding originated from wisdom and knowledge. Like the mead of poetry, itself symbolic of inspirational wisdom ( among other things). The memory beer allows a person to reach normally unattainable wisdom and the ability to retain that knowledge for the betterment of faith, family and folk regardless of obstacles. We are essentially proving ourselves worthy as ‘god-friends’ and in return for our gifts, receive special assistance or guidance in whatever endeavour it is we are undertaking at the time. Ottar by his steady devotion and sacrifice to Freya , established a direct link to the goddess, receiving her favour and as such; she willingly took personal interest in his cause which ultimately led him to victory in his wager. CAN WE EXPECT ANY LESS OF OURSELVES AS A TRUE ODINIC FOLK? Ottar the Young, a great Germanic Hero, chose to follow the paths of his inherited ancestral wisdom, he tapped into his stored memory that was passed down from his ancestors through generation after generation and it is this conscious decision that leads him to victory, prosperity and prestige. 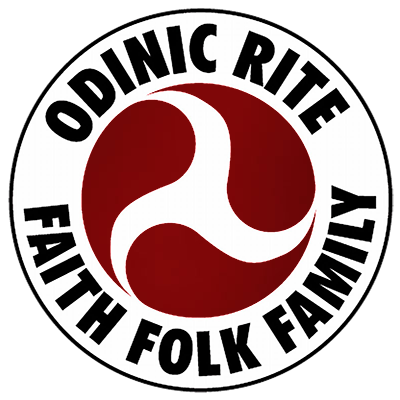 And finally the idea that Ottar was a descendant of Odin is merely symbolic, as I see it to mean, ‘that Ottar was of the Odinic faith’, a spiritual warrior for his family and of our folk. He lived by the Nine Noble Virtues and we would all do well to live likewise.